Nature provides us with so many wonderful resources we can use for natural remedies and recipes. You might be in urgent need of my homemade cough syrup or perhaps one of my 21 headache home remedies. I also have a super kid-friendly electrolyte drink recipe that everyone will find soothing when they're feeling under the weather. And everyone needs to know about these four herbs that support your liver health. Or maybe you're ready to detox your bathroom and try my all-natural remineralizing mouthwash recipe or try your hand at making a batch of healing calendula oil. 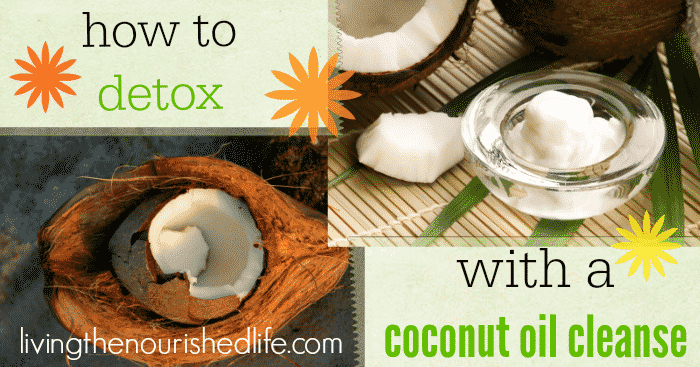 Learn about the unique benefits of a coconut oil detox – a short term cleanse that harnesses the power of coconut oil to jump-start weight loss and give the body energy to heal. What in the world is a coconut oil detox? This cleanse seems a little crazy at first. I’m right there with you….